Ken Hertz is a Senior Partner in the Los Angeles law firm of Hertz Lichtenstein & Young LLP. Ken and his partners specialize in representing talent and new media companies in the sports and entertainment industries. The firm’s clients include Will, Jada, Willow and Jaden Smith, No Doubt, Gwen Stefani, The Black Eyed Peas, will.i.am, Keith Richards, Herbie Hancock, Jason Mraz, Britney Spears, Janet Jackson, David Blaine, Shaun White, Jamie Oliver, James Patterson, Lionel Richie, Calvin Harris, Annie Leibovitz and Enrique Iglesias. Prior to joining the firm, Ken was in charge of music — business and legal affairs — for The Walt Disney Company. Ken is also a principal in memBrain – an entertainment marketing and strategy consulting firm. memBrain’s clients include Hasbro, McDonald’s, Intel, MillerCoors, Logitech, and Keds. 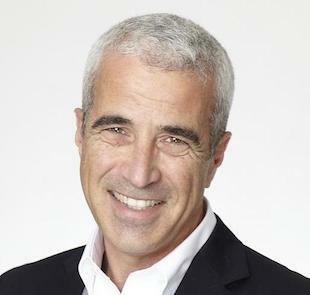 Ken is a frequent speaker and commentator on the subjects of entertainment, marketing and convergence, is often quoted in the New York Times, Los Angeles Times, and Wall Street Journal, has appeared on CNBC’s monthly newsmagazine “Business Nation,” has been an instructor at UCLA’s Anderson Graduate School of Management, and an adjunct professor of law at USC.